Samuel Faulkner is my favorite. I think because he was so hard to find. A multi-year brick wall that I just kept butting my head into until it finally cracked. One day a chink fell out and I quickly was able to tear the wall down. 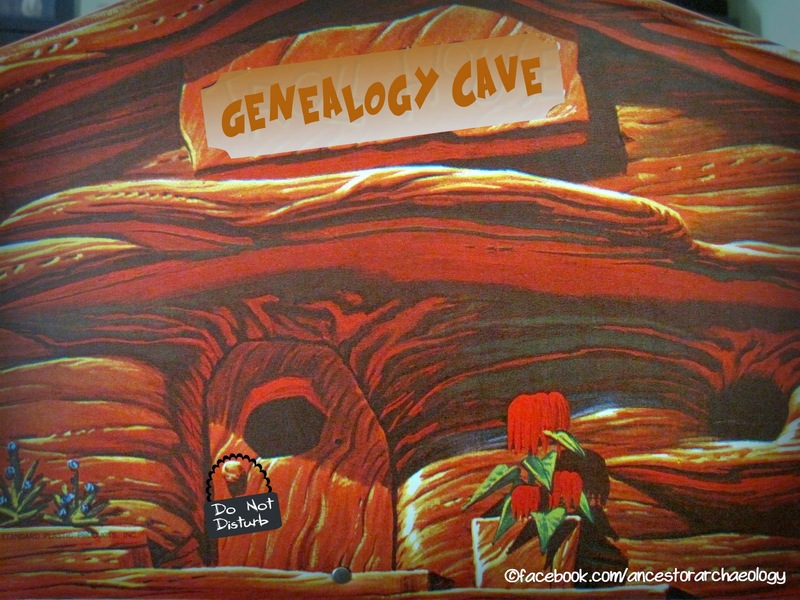 My introduction into the seductive world of genealogy came with a box of stuff from my grandmother, interesting family lore and Ancestry.com. On my maternal side were Patriots, Pilgrims, Pioneers and suggestions at Royalty. Talk about Bright Shiny Objects! 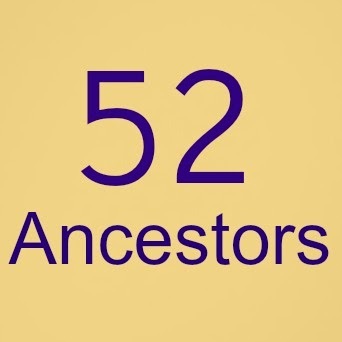 I quickly entered all my grandmother's research into my new Ancestry.com account and ... Oh My Gosh!! ... Well, I never! What?? By the end of an afternoon I had added centuries to my family tree! Centuries! Well, that was easy. Mom's side - DONE. I know, you are either laughing hysterically or totally aghast at this point. Wait. Things were soon to take a turn. I was about to get schooled. So on to my dad's side. The Faulkner side. No one had ever done any research on my dad's side, that I was aware of. I actually had to build it from scratch. And, to make it even more interesting my dad was an only child. And had recently died. My mom had a few notes from a second cousin who could not be less interested in genealogy - so the quest began. With no one to consult on this family I set out to forge a new trail into the wilderness. Samuel Faulkner is my 4th great grandfather on my paternal side, but I did not know this for a very long time. The oldest piece of information I had at the beginning of my quest was the name of my 2nd great grandfather. My father has started a file labeled "Operation Grandpa" which I did not find until after he had died, and it made me laugh. He had been searching for the mythical Faulkner's too! Using Ancestry, I plugged in all the information my dad had gathered. I immediately found some good census, birth and death records. I found marriage and divorce records. I found obituaries. I found children. And blessedly I did not find one single Family Tree to mess me up! I contacted Historical Societies, wrote to cemeteries, joined Yahoo groups, posted to message boards. I posted public trees on every site I could think of hoping to lure a cousin or two. I ordered genealogy and history books through the library that I couldn't view online. I discovered some second cousins I did not know I had, and managed to track them down via long evenings Googling. That hard work proved unfruitful for family info, but I gained brand new kin. None of this was easy. There were a lot of misses. A lot of dead ends. A lot of "I'm sorry, we are unable to help you with your request". A lot of years searching in vain for a man with no name. I can't even describe the twists and turns my research took. The one step forward two steps back. The high hopes dashed in an instant. And all the quitting. Throwing my hands up in disgust and walking away - muttering "it's impossible!" "it can't be done!". But something kept pulling me back. I was a mad woman on a mission. Why was no one else researching this family? No one! I became very protective of MY Faulkner's. Yes, My Faulkner's. I had gone there. At this point I had invested 4 years of solely researching this particular family. Investing my own blood, sweat and tears. I lived and breathed Faulkner history. I was pretty annoying to be around. With all the information I was able to gather I had been able to prove my way back to my 3rd great grandfather - a regionally famous man named James Faulkner - I wrote about his wife here. Of course, in all the biographies and histories done on him there was never a mention of his father. And I had a very strong candidate for my 5th great grandfather, William Faulkner. Very strong. Early on in my research I was given a transcript of his will. By all indications this was my 5th great grandfather. And it listed 4 sons. Hallelujah! So, how to get from James to William? Another year or so passed as I worked the four sons lines. I ruled out one right away as he was deceased and there was no mention of any offspring. Another was a Patriot and there had been some lineage work done on him. The third son married into the Bull family of New York, and traceable through extensive histories. That left Samuel. Invisible Samuel. Plugging Samuel in to my database brought me nothing. I started my writing, searching, posting campaign yet again, to no avail. This man was invisible! This man who, at one time owned 1000 acres of land in Wallkill, New York was invisible! Another year passed and I sadly put my quest for Samuel away. Vowing to travel to New York one day to pick up the search in person. Time to get on with life. Time to rejoin the living. A casual mention in a chat room about newly added unindexed records on FamilySearch. Locked in my Genealogy Cave - fueled on nothing but raw tenacity and coffee - eyes bleary and red from hours of scrutinizing the computer screen ....... there it was! No. What? Did I do it? Did I just find Samuel? Staring in shocked disbelief. Frozen in the moment. The quest was over. OVER. Stumbling out of the Cave I began my happy dance. I did a little Church Lady, and cried tears of joy. It was a wonderful, frustrating, magical 5 years. I learned a lot. Not only about my Faulkner family, but about researching from scratch and doing it right. Best lesson ever. This is why Samuel Faulkner is my favorite. I worked hard for him and was rewarded magnificently. Samuel Faulkner was never really lost. Just hiding, in plain sight.